This is a favorite of mine, and not just for Passover. If you like almonds and chocolate, this will soon become a favorite of yours. Made without flour, this is a great dessert option for those who are gluten-free. It is also a great option for Passover, the Jewish holiday that celebrates the deliverance of the Jewish people from slavery in Egypt. The name “Pesach” (pronounced PAY-sahch) comes from the Hebrew root “Pei-Samekh-Cheit”, meaning to pass through, to pass over, to exempt or to spare. In the Jewish religion, Passover refers to the fact that God passed over the houses of the Jews when he was slaying the firstborn of Egypt. Above is a representation of the 10 plagues (referenced during a Passover Seder). The Bible says God brought the plagues on the Egyptians to convince Pharaoh to free the Israelites from slavery. This is a toy set my boys have had since they were little. 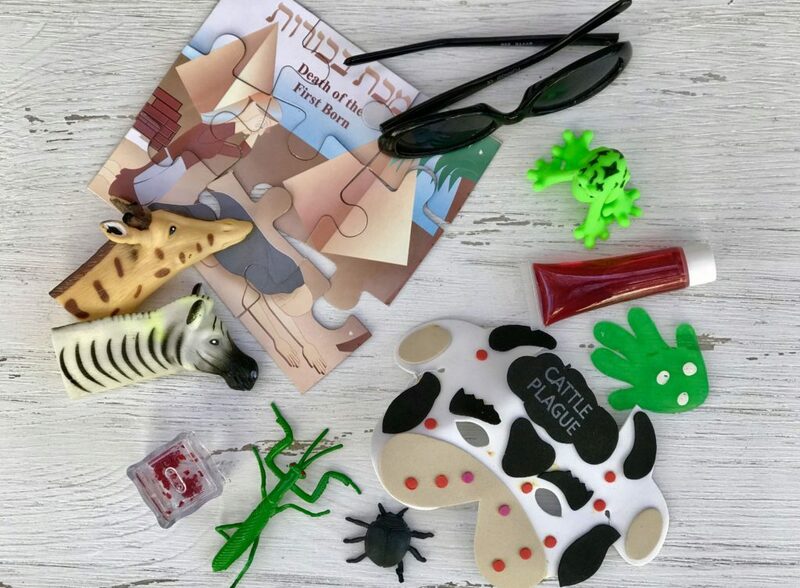 The 10 plagues are: (1) Blood, (2) Frogs, (3) Lice, (4) Wild Beats, (5) Pestilence, (6) Boils, (7) Hail, (8) Locusts, (9) Darkness, and (10) Death of your first-born. The most significant observance related to Pesach involves avoiding leaven (or chametz) throughout the holiday. This commemorates the fact that the Jews leaving Egypt were in a hurry, and did not have time to let their bread rise. This has posed some issues for modern-dessert makers! For our purposes, the absence of flour can often make cakes dense. Don’t get me wrong, I love a rich dense cake now and again, but I also like a lighter one as well. 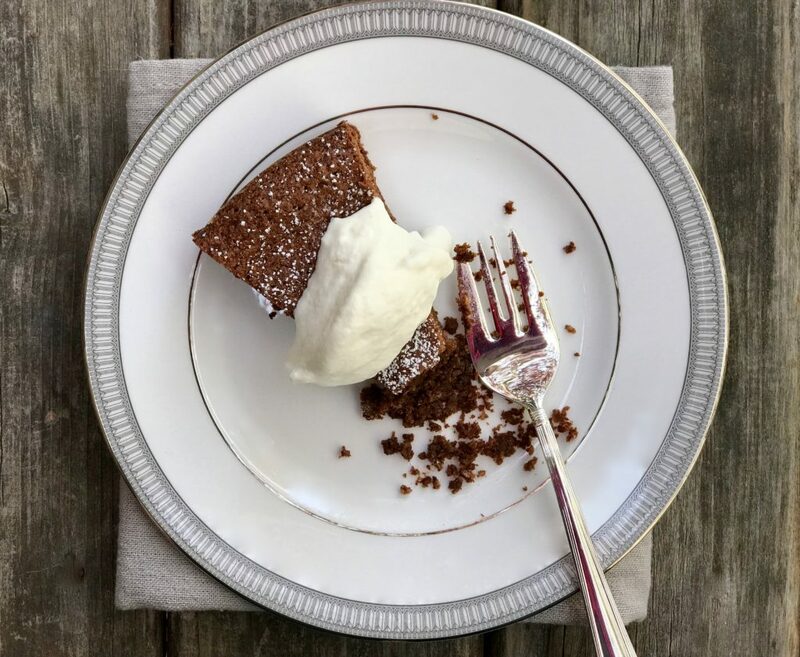 This recipe used finely ground toasted almonds, which gives it a wonderful subtle nutty flavor to complement the rich chocolate. The whipped egg whites lighten this irresistible cake even more. The airiness of the cake makes for the perfect end to a great meal without being too overwhelming and heavy. The baking process here is a bit involved, but slowly reducing the oven temperature allows for nice even cooking to help achieve the perfect fluffy cake texture. People often ask me how to properly cut a cake like this. The simple trick is to use a long thin slicing knife that is dipped in warm water and dried before each cut. Doing this will give you a nice clean out. 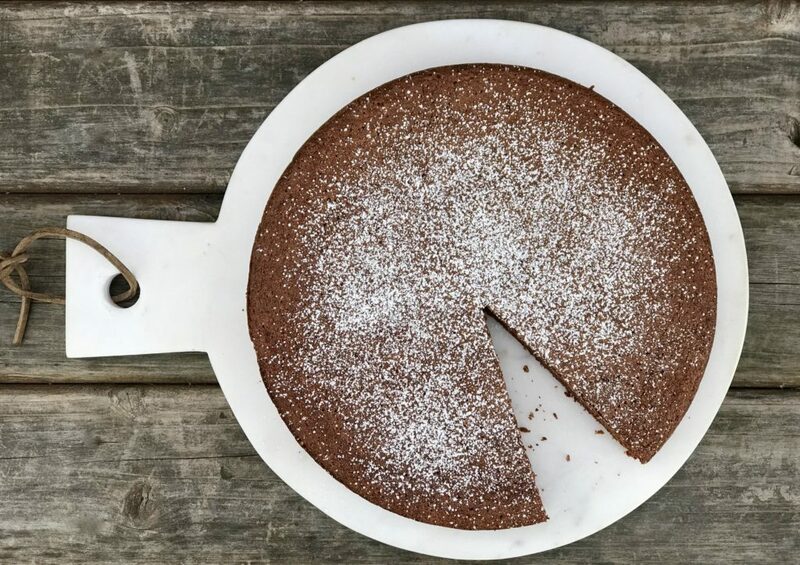 Whether you are avoiding gluten, celebrating Passover, or just looking for a new dessert, this flourless chocolate-almond cake is worth a try. 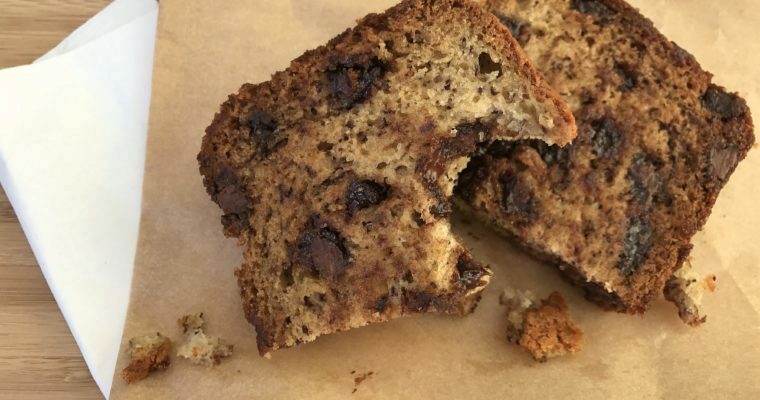 It tastes great, it is not too sweet, and it only needs a dash of confectioners sugar and dollop of whip cream to accompany it. Step 2 Place the almonds on a baking sheet and lightly toast for about 10 minutes. Remove from the oven and cool slightly. When cool enough to handle, blend in a kitchen mixer, such as a Cusinart, fitted with a metal blade attachment, until finely ground. Set aside. Step 3 Line a 10-inch springform pan with parchment. Lightly grease the pan and parchment, set aside. Step 4 Using a double boiler (or a small saucepan placed inside a slighter larger one) add the chocolate and cold brew espresso over a low heat until the chocolate has melted. Stir well to incorporate and let cool. Step 5 Using a kitchen mixer, such as a KitchenAid, fitted with a metal attachment, beat the butter and sugar on medium until light and fluffy. Step 6 Reduce the speed to low and add the egg yolks, scraping down the sides as you go. Beat until the mixture is fluffy. Add in the vanilla. Step 7 Using a rubber spatula, gently fold in the chocolate-cold brew coffee mixture. Set aside. Step 8 Clean the bowl of the mixer. Step 9 Edd the egg whites and a dash of salt. Whip on high-speed until stiff peaks form, be careful not to over whip or the egg whites will break. Step 10 Using a rubber spatula, gently fold the ground almonds into the whipped egg whites. Fold the chocolate-cold brew mixture into the egg white-almond mixture. Be very careful not to over mix. Step 11 Pour the batter into the prepared baking pan and tap gently on the counter to help level the mixture. Bake at 350 degrees F for 15 minutes. Reduce the oven to 325 degrees F and bake for an additional 45 minutes. Reduce the oven to 300 degrees F and bake for an additional 15 minutes. Turn the oven off, leave the oven door slightly open and allow the cake to sit in the oven for an additional 30 minutes to set. Step 12 Cool completely before removing the cake form the baking pan. 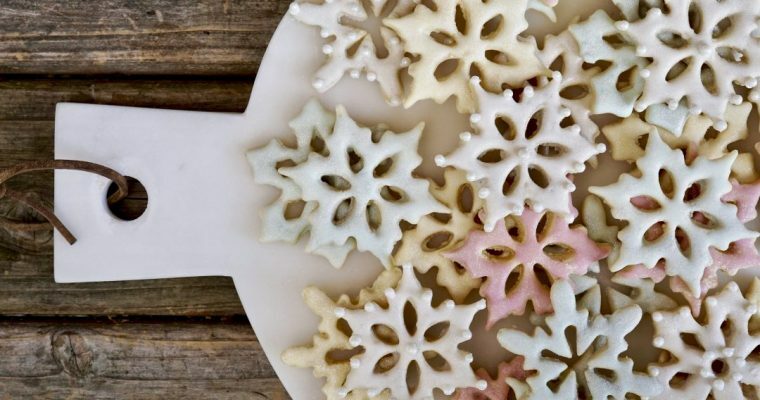 To serve, dust with confectioners sugar and top with fresh whipped cream. I really enjoyed seeing the kids toys covering the 10 Plaques and your description of the Passover and Seder. 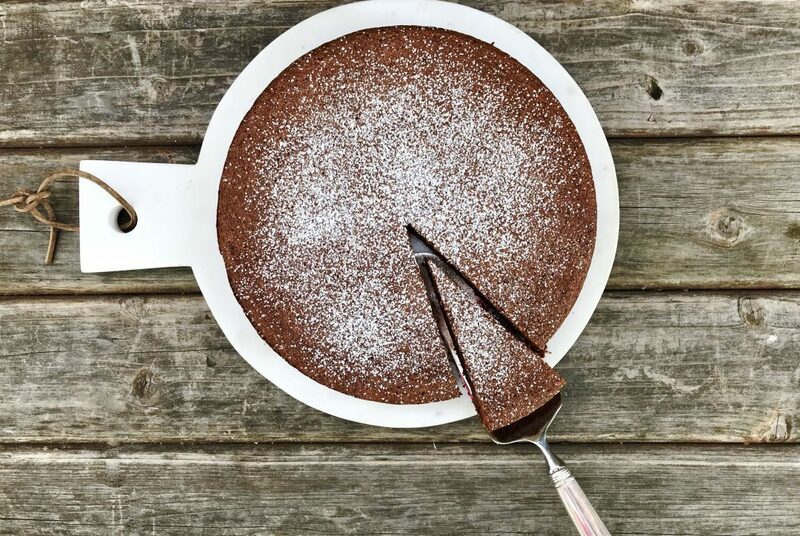 The chocolate almond cake looks delicious!